Bright yellow spirals are sure to brighten anyone's day. Crochet this simple spiral in any of your favorite colors! Bracelet is shown with a clasp. 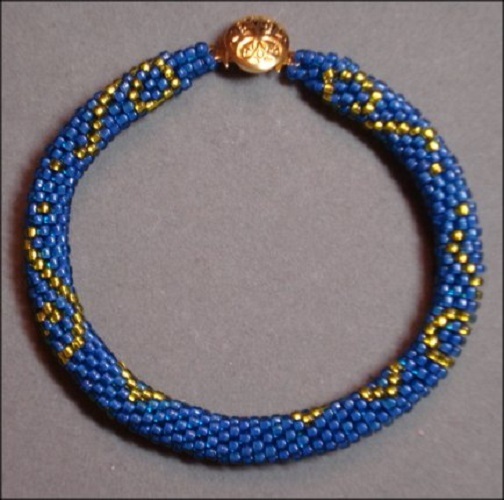 Stringing instructions included in pattern if a bangle or invisible join length is intended.